See bottom of post for update. This post is originally from spring 2010 so many of the options may be sold out. 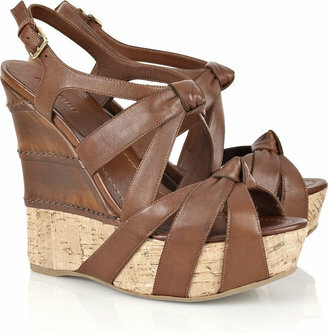 Miu Miu's gorgeous cork and leather wedges will be perfect for summer, and retail for $650 at Net-A-Porter. 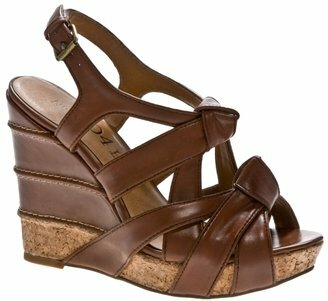 While not a total steal, the fabulous blog In Their Closet posted these Rosegold wedges which retail for $210 (also available in beige *my pick* or black) and I was so excited that I had to share. Click on the photo below if you're interested in purchasing, they are also available for $168 in cognac or black only here. *Update - 4/19/10* - DSW's No. 704b has a very similar pair (I'm wondering if they're an off shoot of the Rosegold brand) for $119.95. Also available in black, click on the photo below to purchase! 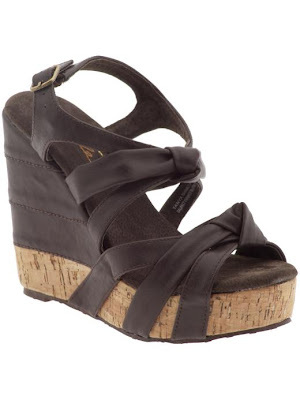 *Update - 6/18/10* - Charlotte Russe now has a similar version of these wedges as well, although the base is not cork. They retail for $35.50 (currently on sale for $30!) and you can click here to purchase (also available in white, black, and taupe). *Updated - 3/16/11* - Thanks to the reader who emailed another great option (the others may be sold out as this post was from last spring) from Very Volatile. These Tanya wedges retail for $59 and you can click here to purchase. I love those in the beige. So pretty! 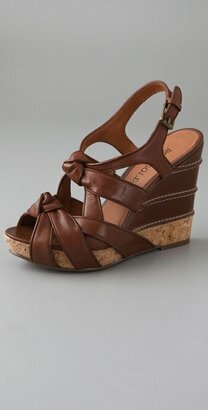 I can't pass these up...I just ordered them in the cognac! 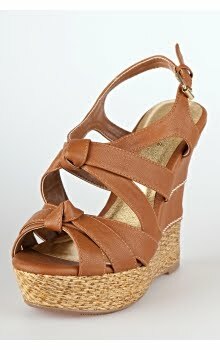 They are certainly gorgeous - but the two tight and thick knots on the shoes are sure to eat your feet up.